They don’t get a whole lot of tourists in Repulse Bay. It is not that they don’t deserve them; the natural environment is beautiful and special. However, at the very north of Hudson Bay and at more than 66o in latitude the access is not easy – there is the ever present risk of severe weather and travel delay. For the Inuit Aivilingmiut people this is home and a focal centre of facilities for the people of the region. 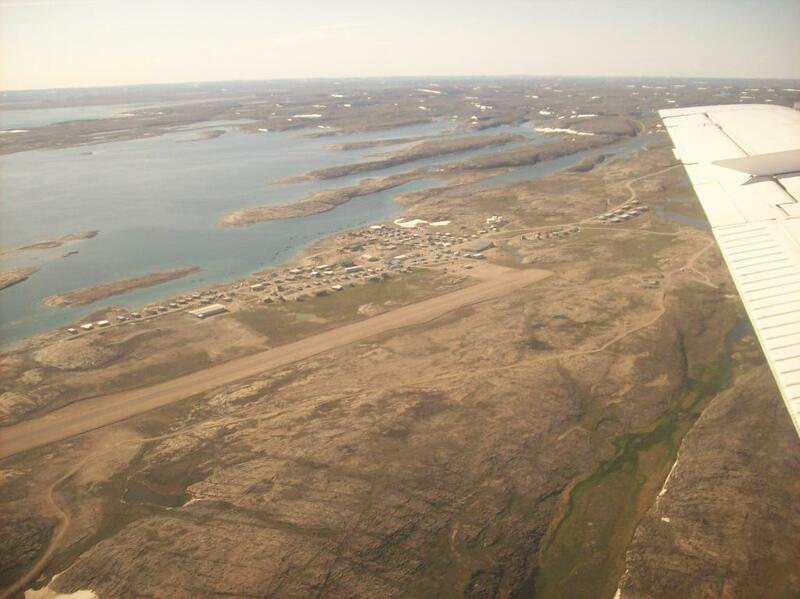 There is an airport, a hotel, two stores, a school and a campus of the multi-centred Arctic College. 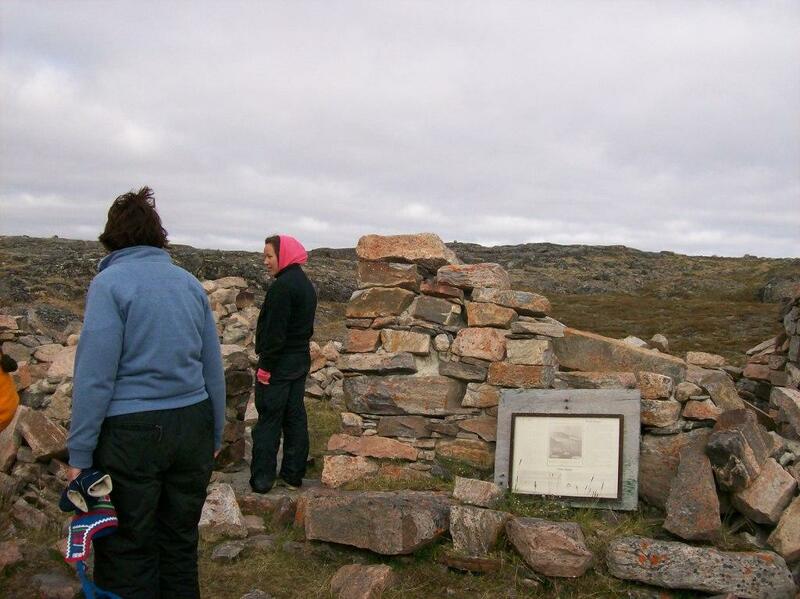 Near the top of the listed tourist attractions is John Rae’s stonehouse, Fort Hope. It is a ruin now but still here nearly 170 years after Rae and his team built it in the Orkney style in late 1846. Repulse Bay, or Naujaat to use its proper Inuit name, was home to John Rae for two of his four Arctic expeditions. Expedition and travel dominated his time in Canada and his two stays here were rare but enforced periods of settlement. He travelled north in the summer and settled in for the winter awaiting conditions which would allow him to make rapid forays to the far north coast of Canada above 68o in the following spring and summer. He lived at Repulse Bay from July 1846 to August 1847 and again from August 1853 to August 1854. In all these months the actual periods of exploration amounted to only a few weeks. Most of the time was spent preparing and just surviving. Rae and his small team of men were the first Europeans to live off the land in these latitudes. They had taken provisions for only three months and could not have known if they would succeed in finding enough food for life through the winters. The 1846 venture was Rae’s first major expedition to explore and map the last unmapped areas of the north Canada coast. It had been his idea but he allowed Sir George Simpson to take the credit. The ruthless Sir George, also known unofficially as the Little Emperor, was governor of the Hudson’s Bay Company. Work on the stonehouse was started soon after arrival and completed on 2 September 1846. It measured twenty feet by fourteen with two-feet thick walls and a sloping hide and oilcloth roof supported by oars and masts. The three windows were double glazed with glass brought for the purpose. Rae, a non-smoker, separated himself from his smoking colleagues behind an oilcloth partition. He recognised the relief and comfort that smoking brought to them in the hard conditions. He would not bring himself to stop them. 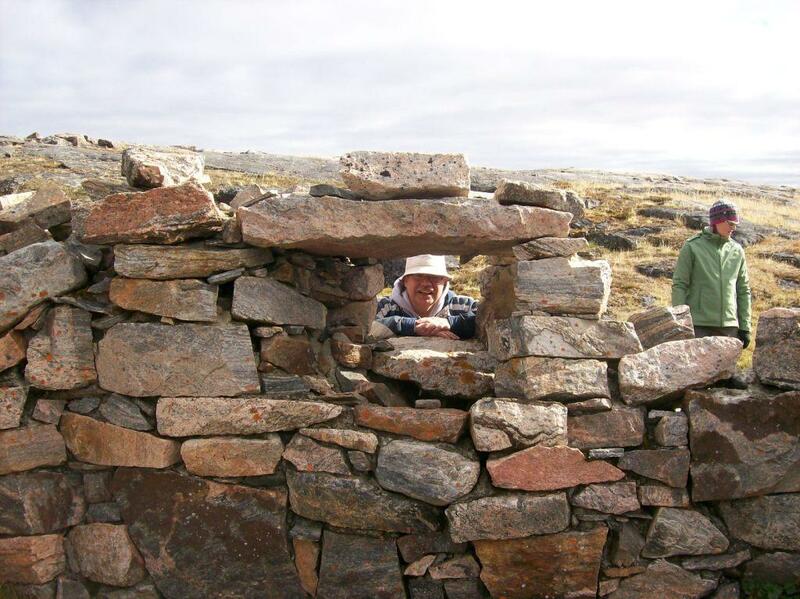 The stonehouse was their base although Rae discovered early on the insulating efficiency of igloos from his Inuit neighbours. 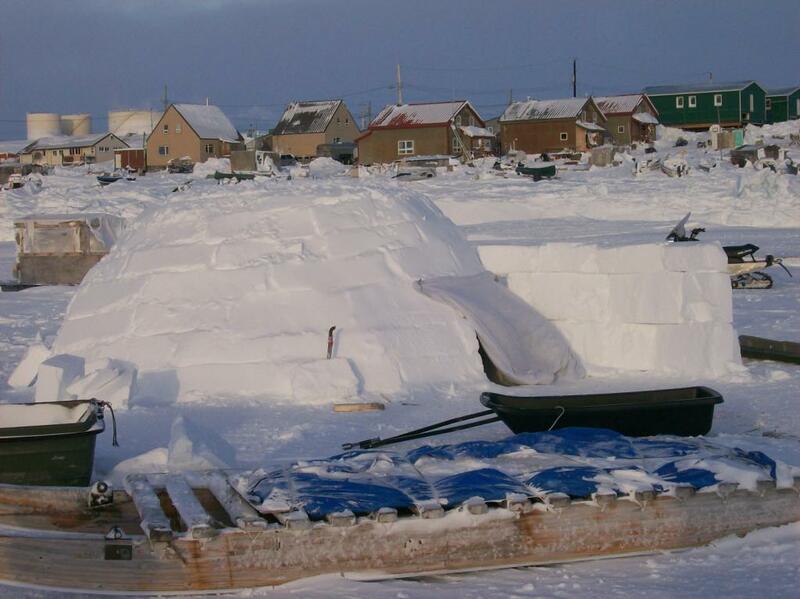 He and his team learned the technique and built several snowhouses. Their expedition up the west coast of the Melville Peninsular occupied the period April and May 1847. They had to wait until August before the ice cleared enough to allow them to abandon the house and sail south. 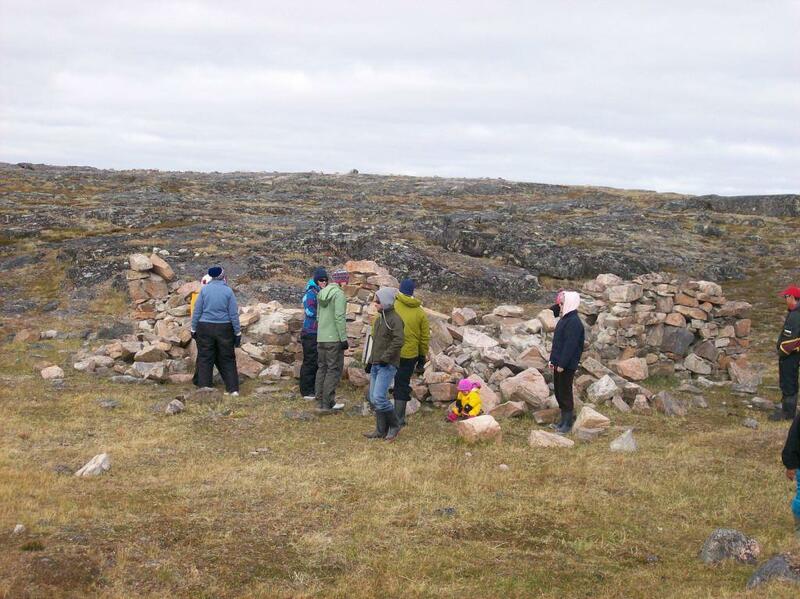 The stonehouse lay empty for six years apart from occasional use by the Inuit for storing food. In August 1853 Rae returned with his men intent on completing “…the survey of the northern shores of America, a small portion of which along the west coast of Boothia is all that remains unexamined”. This was to be his last major Arctic expedition and the one on which he found the connecting link in the search for the Northwest Passage and learned the fate of the Franklin expedition. The walls of the stonehouse were exactly as he had left them and even the mud oven was still in good condition. The men settled in for the winter and it was January before they started making short journeys to cache food on their exploration route. It was April before they started their main objective reaching and identifying the Rae Strait between the mainland and King William Island before returning to Repulse Bay at the end of May. They left the stonehouse for the last time when the ice cleared in August 1854. The building slowly declined with apparently no further use until the ruins were redefined as a tourist attraction at the start of the 21st century, one hundred and fifty years later. Repulse Bay is now a thriving community of about one thousand people and a services centre for the area. It has developed only recently. 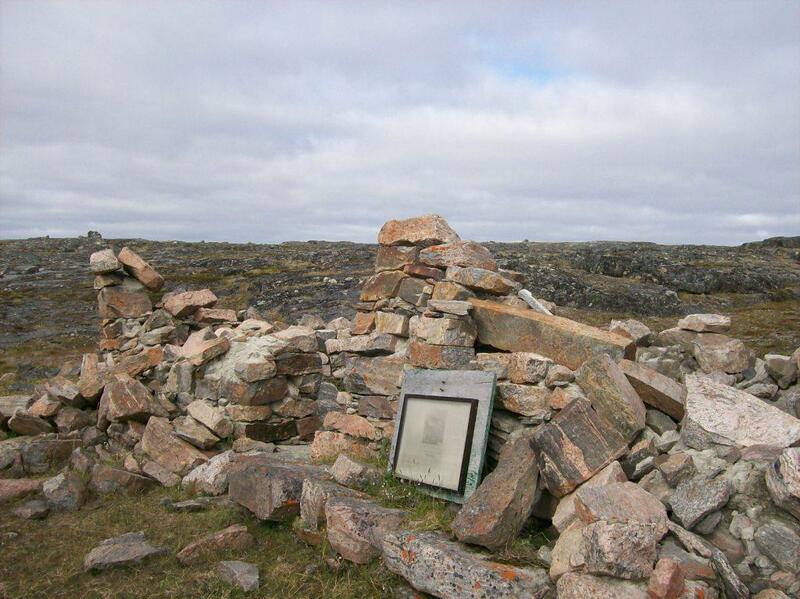 After Rae had left it became a favourite wintering ground for whaling fleets until the Hudson Bay Company established a fur trading post there in 1916. They were joined by French competitor Revillon Frères in 1923 and in 1932 a Roman Catholic mission was established. 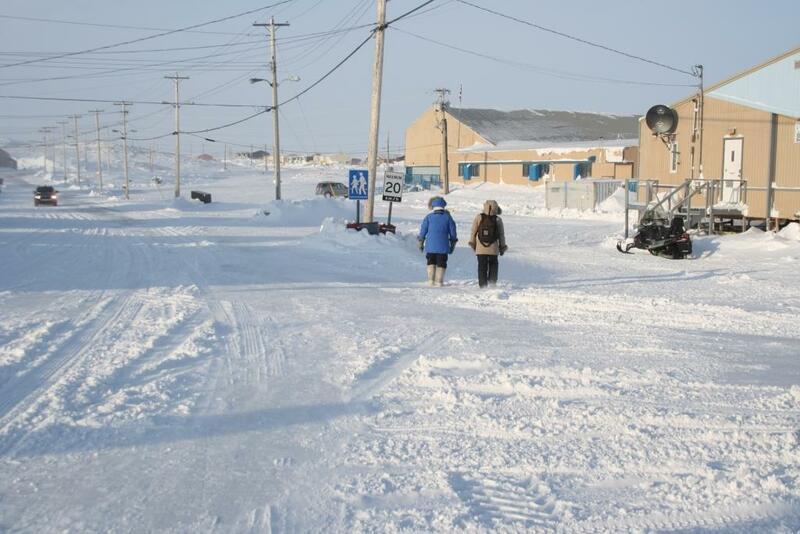 However it was 1964 before the first permanent housing was built and in 1968 the Tuvarsik School was opened. It would be wrong to say that John Rae founded the settlement at Repulse Bay but he made it his home for a time and created what was arguably his most important forward base. He constructed the first permanent structure in the settlement and it was over one hundred years before the next was to follow. A large part of John Rae’s legacy is focused on Repulse Bay. We have the remains of his stonehouse and his journal of day-to-day life at the settlement. The journal records his meetings with the Inuit and the lessons he learned about human survival – how people sheltered and kept warm, how they hunted and how their culture worked and developed. We have too, a record of the natural environment through these two years of the nineteenth century – the temperatures, the ice cycle, the deer migrations, the plants, the birds and the marine life. A comparison with modern times is of interest. At ICIT/Heriot-Watt we have re-established links between Stromness and Repulse Bay. 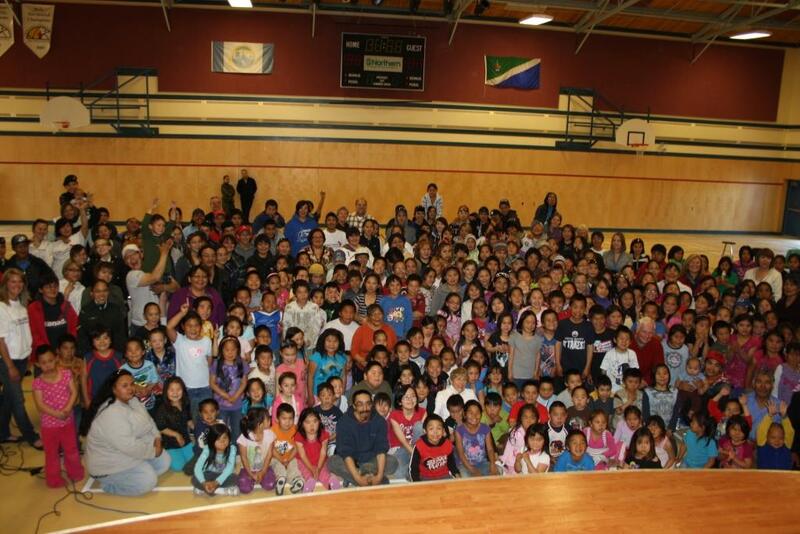 The children of Tuvarsik School and the students of Arctic College are replicating, in 2012/2013, the John Rae timeline of natural events detailed in his 1846/1847 journal. We look forward to reporting the results and maintaining Orkney links with the descendants of Rae’s Inuit hosts in Repulse Bay. Dr Kate Johnson is a post doctorate researcher at ICIT/Heriot-Watt University in Stromness. Her main research interests are coastal communities and marine resource management including energy and fisheries. She has worked in Galapagos, Vanuatu and Scotland.